Interior Inspiration: A Fool Proof Palette to Modernize Your Place | Valet. 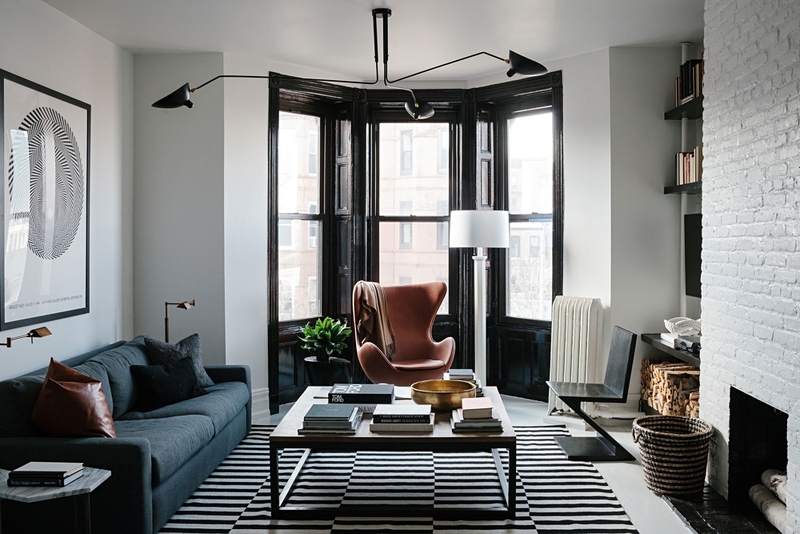 It's a classic look—black and white—but somehow, when done like this, it has the power to really make your place look modern and cool. The idea is to take this timeless pairing of neutral colors and liven it up with a combination of old and new pieces, mixing graphic prints with clean lines and a smattering of rustic, vintage finds. There's a lot of style in this Brooklyn brownstone and a lot to take away from it as well. 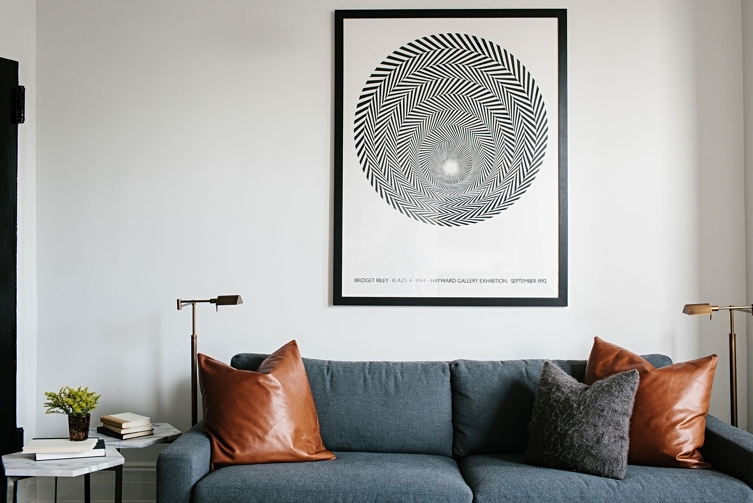 Herewith, four lessons on incorporating the black-and-white aesthetic into your place. 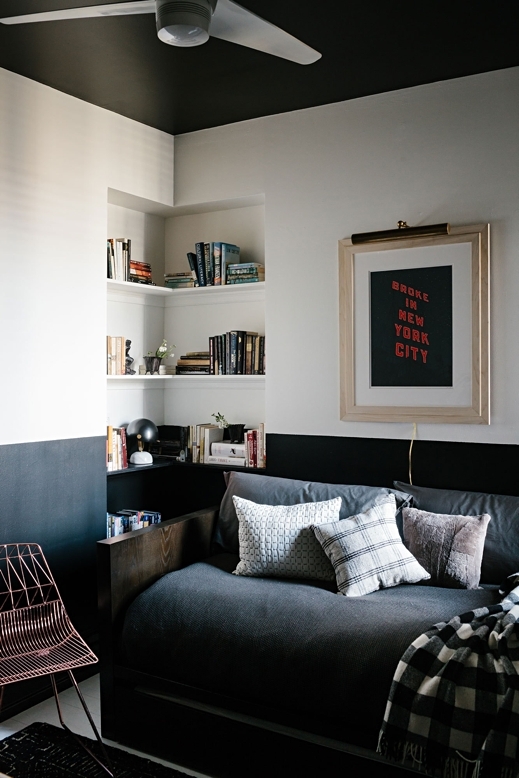 One of the big benefits of a black and white motif is that it allows you to get graphic—with your art, your fabrics and even with your furniture. From vintage art prints to marble tables, the bold patterns make even more of an impact when used in small spaces. 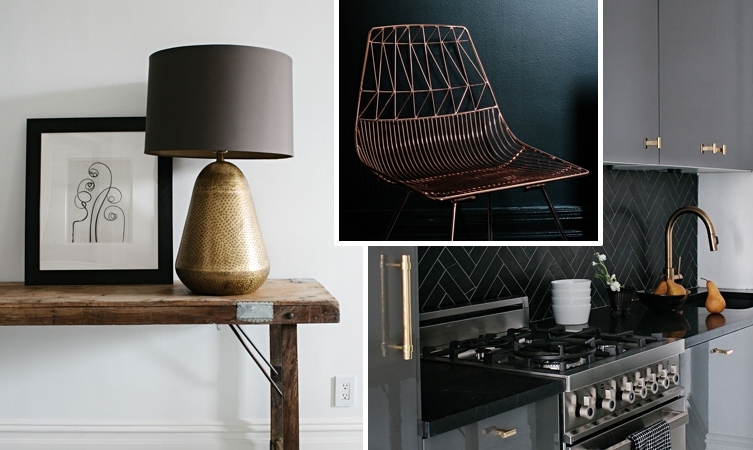 Yellow metals like brass, bronze and copper pair perfectly with black, white and grey colors. The look is very timely, but also adds some warmth. Silver-toned metals would likely just come off cold. There's more than just black and white in this palette. 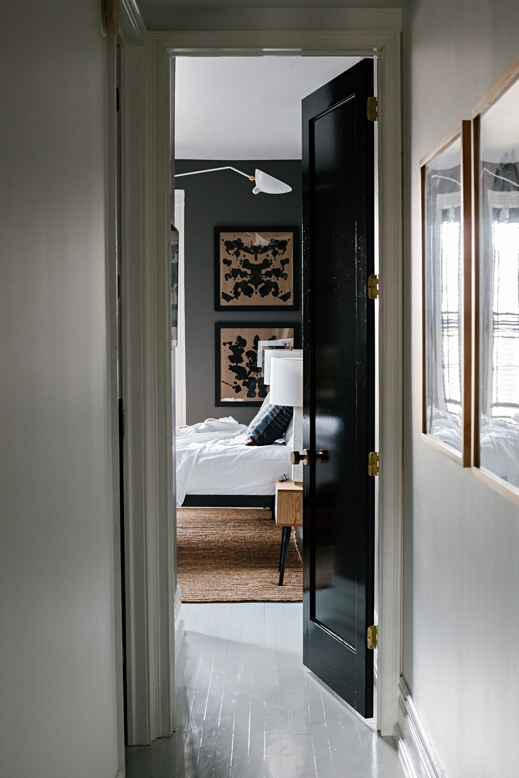 Look for ways to incorporate some rich grey into the space as well, as seen here with the bedroom's charcoal walls. A simple paint treatment can add a whole new dimension to a room. Here, half the wall is painted dark for a chair rail effect (without any railing or hardware), which is complemented by a black-painted ceiling.